A lightning strike in April 2007 carved a crack in the top of Ship Rock. Because of concerns the 12-ton block would fall into the new Visitor Center, experts decided to break it up into smaller chunks, which then fell harmlessly below. Ship Rock, the Park’s second highest, is now about a foot or two shorter than its stats indicate. Many other rocks in the Park have been split in this fashion over the millenia. Lightning cracks, followed by wind and water erosion, are one of the elements that give us these spectacular rock formations. Photo by Matt Corey, Arts and Venues Denver. 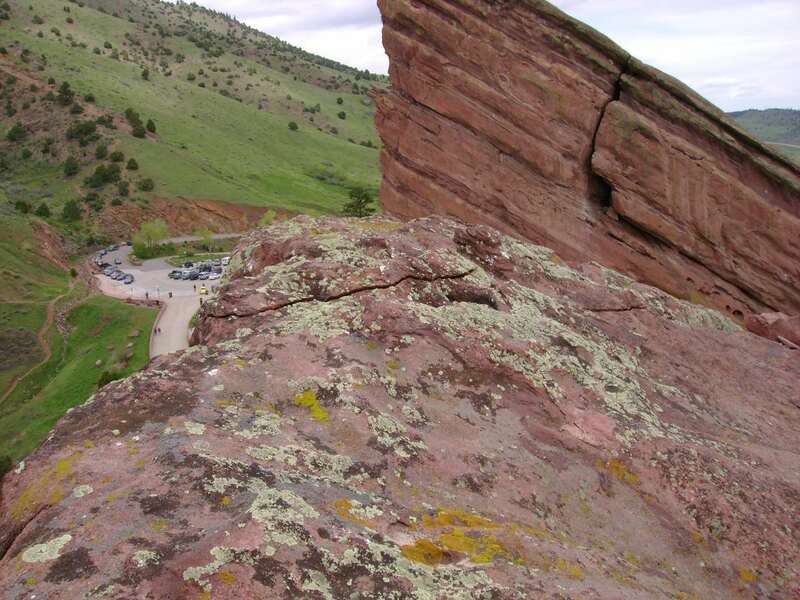 Crack in the top of Ship Rock, caused by lightning in April 2007. Photo courtesy Matt Corey, Arts and Venues Denver.